With over 30 years of experience in video and media production, Geomatrix Productions has built a reputation as one of the leading video production companies for corporations, non-profits and law firms in Connecticut and beyond. From brand development, to fund raising, to winning that court case, we work with you from idea to execution to create smart, effective, visually engaging video content to suit the needs, budget and goals of your business or organization. Looking to increase organic search results with more quality content? Our video on your website, YouTube and social media channels means greater visibility for your product, practice or cause. 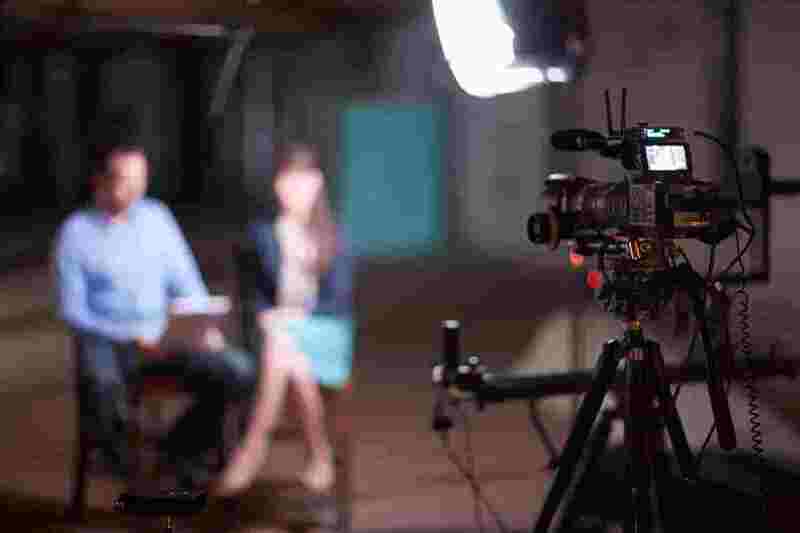 From affordable video blog packages, to compelling corporate documentaries, to effective trial presentation, let one of CT’s most experienced media production companies put their three decades of experience to work for you. Geomatrix provides quality video production services for corporations, non-profits and law firms. From idea to execution. Increase organic search results with more quality content through video production. Our video on your website, YouTube and social media channels means greater visibility for your product or cause. From affordable video blog packages, to compelling corporate documentaries, let us put the power of our 3 decades of video production services to work for you. An industry pioneer, Geomatrix Productions was among the first Connecticut Video Production Company to provide video deposition services and to create Day in the Life Documentaries. That was back in 1978. Today, Geomatrix Productions leads the field in the design and execution of comprehensive electronic trial presentations, while continuing to provide premier legal video production services in a new and changing litigation environment. Our compelling settlement documentaries remain proven, cost-effective ways to maximize verdicts and settlements. We understand the demands of complex cases and easily adapt to varying courtroom styles. Our long history in litigation support video, coupled with our mastery of new technology, qualifies Geomatrix as a unique and trusted partner to today’s attorney. Learn more about our Legal Video Production Services. We were very impressed with how well everyone at Geomatrix understood what we were looking for and translated that into a final product conveying exactly the message we had hoped for…we couldn’t be happier with the responses we received. This is a letter of thanks for the terrific work Patrick and the rest of your group performed in producing the video settlement program for the Faggio case. As you know from recent articles in the Connecticut Law Tribune, the case recently settled for over 7.6 million dollars. The video captured the devastating injuries and included the key independent witness description of the crash, whose testimony was essential to prove that the State was the sole proximate cause of the event. Jim Bergenn, Esq. & Bill Ronalter, Esq.